On a cold, wet winter day it can take a lot of willpower to leave your nice warm house and go out riding. 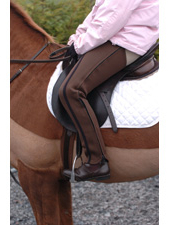 But Hugs neoprene chaps from Kitt make it so much easier to brave the weather. Made from specially developed neoprene rubber fabric, Hugs really do cut out the misery of wind, rain and cold to keep you warm and dry whatever the temperature. Hugs are easy to wear, lightweight and flexible. They follow every contour of your leg for a perfect fit. They are very hard wearing and easy to clean - you can just hose them down or throw them in the washing machine, and they dry in no time at all. Sizes (Inside Leg in cm): XXS 60, XS 66, S 72.5, M to XL 77.5. 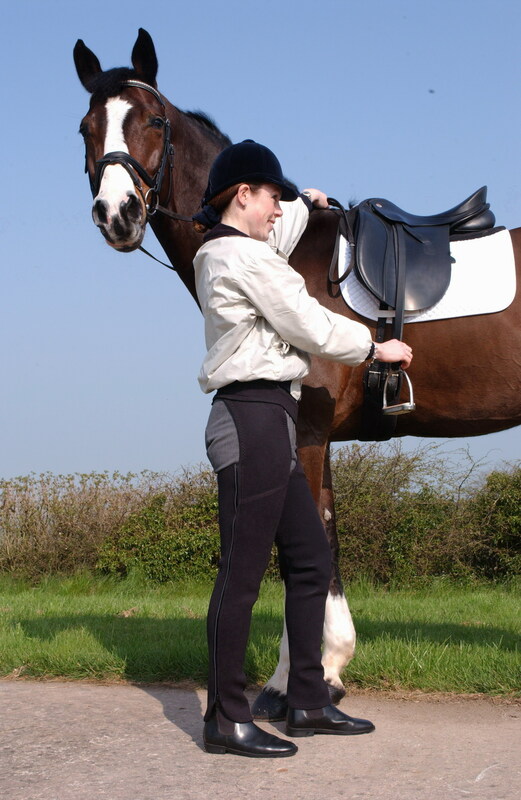 There are currently no questions for Kitt Hugs Neoprene Full Chaps - be the first to ask one!